The Wildcats U-18 team that booked their place in the National Cup Final at the weekend with victory over Templouge. 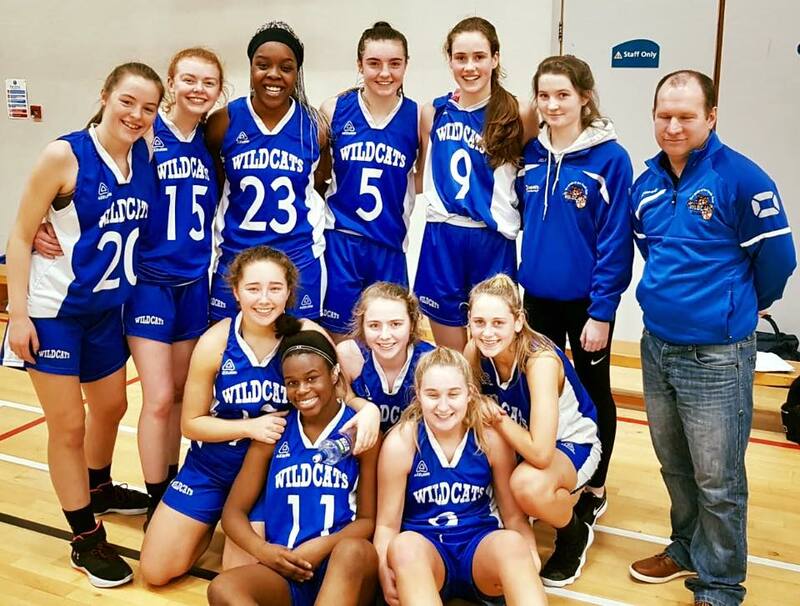 It has been a number of years since Maxol WIT Wildcats made it to the National Cup final at U-18 level and they made their way there in style with a comprehensive victory over Dublin’s Templeogue at Cork’s Mardyke Arena on Sunday last. From the tip off Wildcats were into their stride and opened up a 10 point lead after the first quarter which they extended to 21 at the midway stage. Though Templeogue tried their best, it was far short of what was required on the day and Wildcats were never extended at any stage in what was a disappointing cup semi final. Final score Wildcats 65 Templeogue 32. Top scorers for Wildcats were Kate Hickey with 14 points; Abby Flynn 13 and Robyn Morrissey 10. Wildcats will face Liffey Celtics, Kildare, in the National Final on the last weekend of January with the time and date to be confirmed later this week. This final has all the signs of being a cracker if one is to judge by the last time the sides met back in November when the Kildare side snatched victory in the dying seconds to win by a single point. There was a lot to admire about Liffey in their 68-59 semi final win over Brunell of Cork and the tempo and quality of the game was at the top level. So Wildcats will have to be at their very best if they are to bring the coveted silverware Suirside for the first time in the club’s history.